This sweater clip is a modern twist on a vintage style. 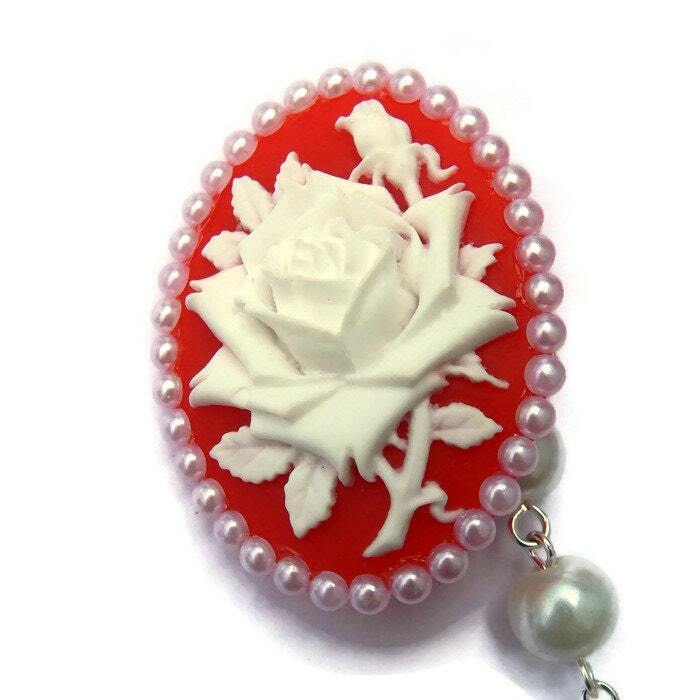 The sweater clips are made of resin cabochons featuring white roses on a red background, framed with tiny white pearls. 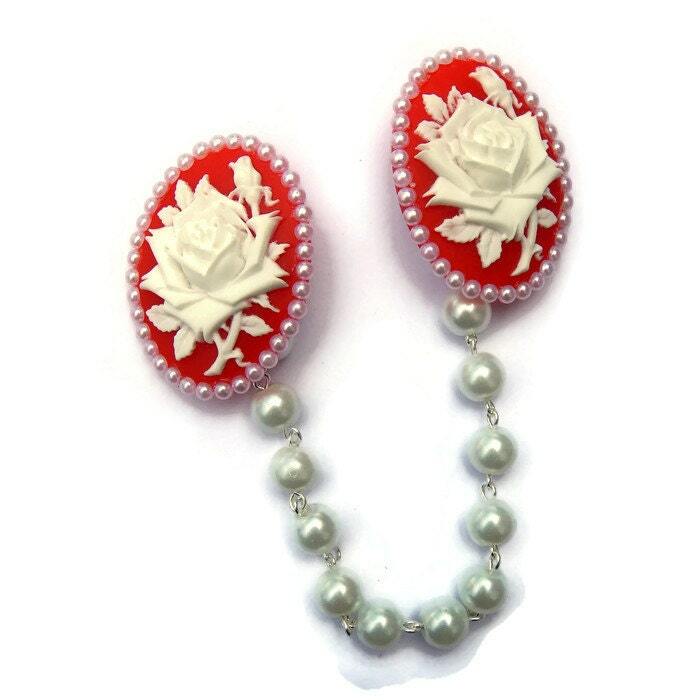 The cabochons are backed with small alligator clips and attached to a strand of white glass pearls. This sweater clip looks great hooked on either side of the collar of a simple cardigan, or on any other top with straps to hook it to.